Of all the features that set smartphones apart, screen size is as close to a decider as they get. Counter to the trend of the last decade that saw cell phones become as small as technology allowed, the emergence of touchscreen and the resolution race have brought about a major shift towards the larger form factor. The 5.2" Sony Xperia Z3, 5.5" LG G3, and the 5.7" Samsung Galaxy Note 4 have all made it clear that screen real estate is in high demand. Even Apple has to play along now - the 5.5" iPhone 6 Plus, which looked less than certain until its very premiere, is now the platform's major weapon against Android flagships. The actual iPhone 6 that should've been the star of the show, has in a way been relegated to the role of a mini - in Android terms. A giant leap for the 4.7" iPhone (up from 4") is a small step in an industry that has long crossed the 5" mark. Yet, size is both an asset and a liability, making the redefined compact flagship an increasingly valuable commodity. Sony were among the first to realize this and the second generation of their Xperia Z compact series will look to consolidate their leadership. 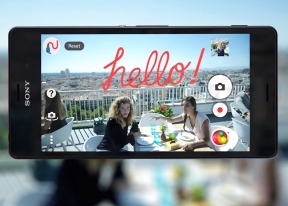 Enter the Sony Xperia Z3 Compact. The industry is no stranger to more reasonably sized screens, with the likes of Samsung, HTC, and LG all offering downsized versions of their past and present flagships. Unfortunately, most of these also come with a respective reduction in specs, which is a big no-no in our books. As you know, we're huge believers in capable compact smartphones. With the release of its previous Xperia Z1 Compact, Sony was able to make the first proper compact flagship that didn't sacrifice much compared to its full-sized namesake. Despite seemingly skipping a generation (i.e. 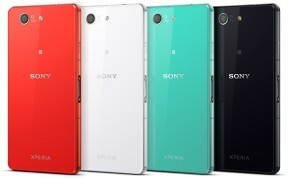 no Xperia Z2 Compact), the two Compact members of Sony's Xperia family are not profoundly different from one another as they come just eight months apart. Sony's quick release cycle should be no news by now, but the improvements to the Z3 Compact are still significant. Although it doesn't sport the metal frame of the Z3 flagship, its protruding dual glass-panel design has a unique feel all to itself. The screen diagonal has been upped to 4.6 inches from 4.3, but Sony was able to actually make the device thinner and lighter than before - a very impressive feat, especially considering they were able to increase the battery capacity to 2,600mAh as well. Initially, we were disappointed to not see a 1080p screen on the Z3 Compact spec sheet, but Sony more than makes up for it with sharp colors, a brighter display, and some vastly improved viewing angles over its predecessor. Other welcome additions include the 2160p video recording capabilities and the improved water resistance rating. 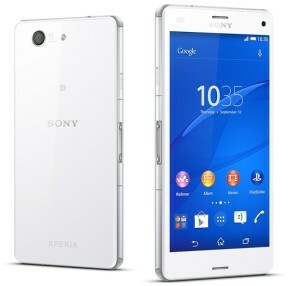 The Xperia Z3 Compact is not only a pleasure to behold but also has a markedly premium in-hand feel. Up next, we'll be taking a closer look at the design and handling, and what makes the Xperia Z3 Compact worthy of flagship status. I chose z3 compact in 2019. Why? Battery 2-3 days and dimension. Thank you gsmarena! My z3 compact been around since 2015 and got no problems with it just make sure you dont let it sit on high heat for long periods of time or else the display would act up and the back will stick out due to heat melting the back glass adhesive.